Staff Sergeant (SSG) Lawrence Parrish, 36, of Lebanon, Missouri, was last assigned to 110th Engineer Battalion, Kansas City, Missouri and had 12 years of military service. Soon after he graduated from high school, SSG Parrish joined the Missouri Army National Guard with the 1139th Military Police Company in Harrisonville. He later joined the U.S. Army and served in Bosnia, Qatar, Kuwait and Guantanamo Bay, Cuba. SSG Parrish and one other soldier died October 7, 2006 from injuries sustained when an improvised explosive device detonated near his vehicle during combat operations in Ur, Iraq. His unit had been providing convoy security and working to remove explosive devices along the Iraqi roadways. 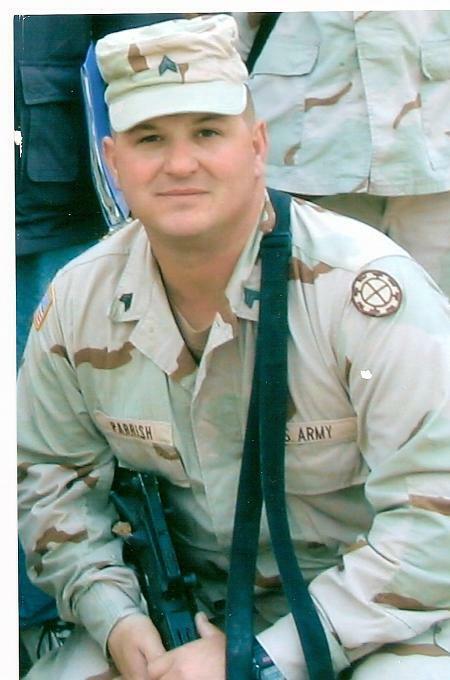 SSG Parrish was posthumously promoted and awarded the Bronze Star and Purple Heart. A graduate of Morgan County R-I High School in Stover, Missouri, SSG Parrish enjoyed hunting, fishing, spending time outdoors and spending time with his family - where he was always trying to play a joke on someone. He was a devoted husband, father, son and brother. SSG Parrish is survived by his wife, Sarah, and five children, one of whom is a Folds of Honor Higher Education scholarship recipient.